If it had been an omen I would say that it indeed was a long warning sign. More than three years after I gave up the climb in Argentina I was stuck by a blood clot, and this forced me to give up mountain climbing, at least temporarily. But after a while I realized that I did not need to go to the mountains to wear this Navy Gold UA Blitz Moc. 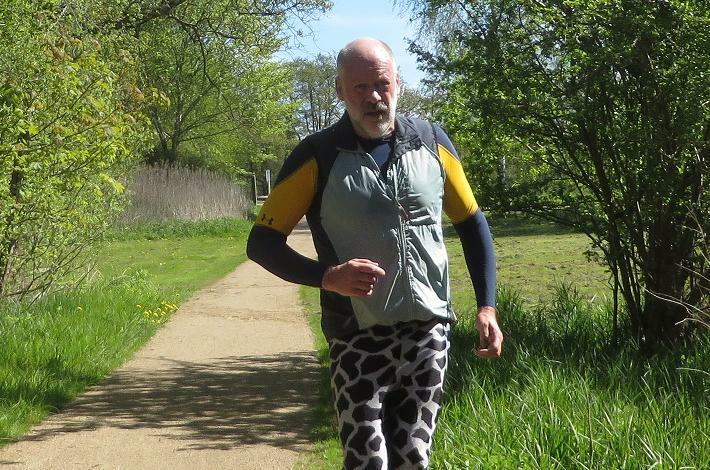 So in May 2018 I wore it on a training run in the Furesø Park. More UA Navy Gold UA Blitz Moc pics in my Troll gallery.